We are all ready for Superbowl ! Annie is barking for the Patriots since her fave color is red. I think I look best in green, so I am barking for the Seahawks. 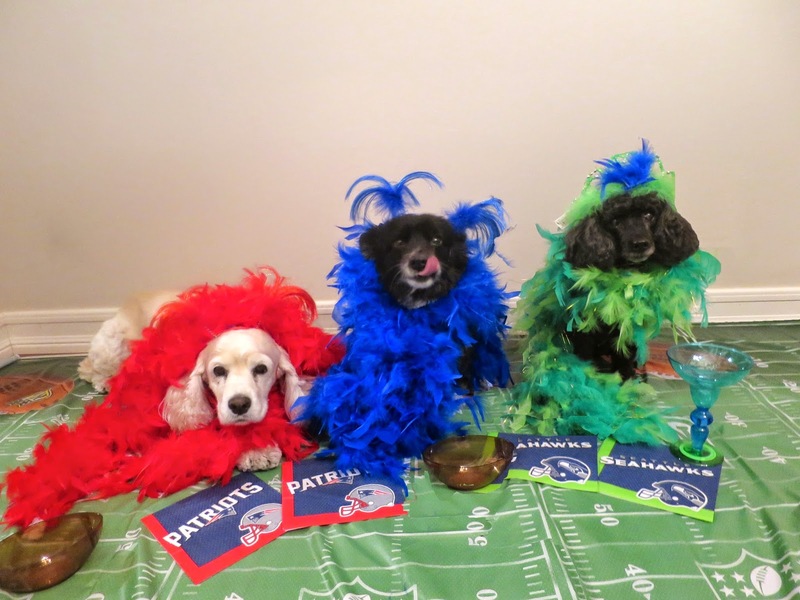 When Bunnybell chose blue, I told her she needs to pick which team to bark for since both have blue. She said she will bark for whatever team fans have the most food ! Rosy, I think with the three of you looking so adorable, the game is going to have to be a tie! But I agree food is going to be the key to winning! Happy Superbowl Sunday! Bunnybell has the right idea, if you ask me. You guys look so festive! Did Mom make good food for the humans?